Once upon a time I spent a lot of time in places. I really miss the sound of running water, the clean air, the shadowy shapes of trout feeding, the call of a kingfisher taking flight from an overhanging tree limb, and the possibility of seeing bear tracks or a bobcat. When the door opens, we will leave the Atlanta suburbs to live in an area where beautiful streams are within a short walk. 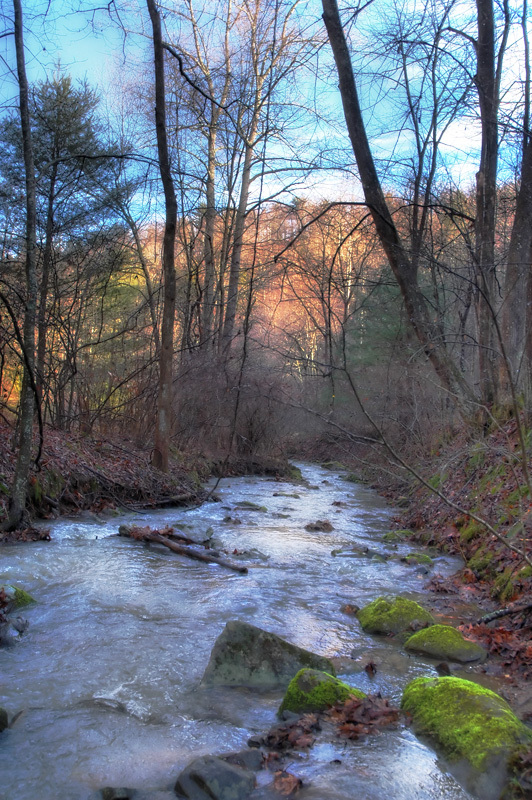 Photo by Fred First from his back yard in Floyd, VA. He’s a lucky man to have such beauty so close. Here are more of Fred’s photos on Flickr.